As the #MeToo movement has emerged at Sharon High School, it is evident that changes need to occur in order to rebuild our school into a safe environment where all voices will be heard. In a community that fosters close relationships between adults and students, teachers have an important role in reforming school culture. Teachers are speaking out about the responsibilities of the school regarding sexual harassment. Ms. Lori Novick, an English teacher at Sharon, says that a student experiencing sexual harassment may feel isolated, unsafe and uncertain. While a victim may not report because they fear not being believed or retaliation by the perpetrator, it’s also possible that a victim does not recognize the perpetrator’s behavior as sexual harassment due to a lack of education on the topic. “This is why it is imperative that we teach students to identify sexual harassment and empower them to name it,” said Novick. “Prevention, education and awareness are crucial factors in creating a culture of respect with intolerance for harassment of any kind,” Novick added. 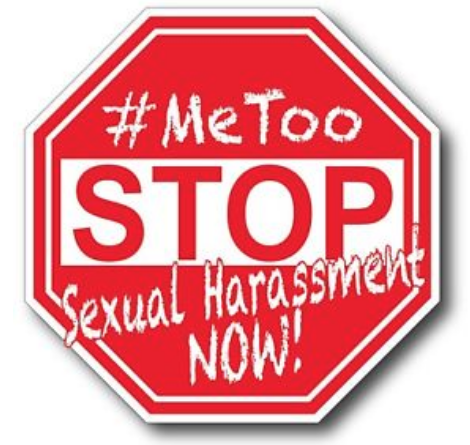 Ms. Lori Leveckis, another English teacher at Sharon High, says that specialists in sexual harassment should be invited to collaborate with the school community to reinforce policies, programming, and protocols for reporting harassing behavior.“Every single report of harassment should be taken seriously, and every student must be heard, whether it be a victim or a witness to harassing behavior,” said Leveckis. New Hope, a domestic violence agency, is one of several organizations that provide workshops, trainings, and presentations to communities including students, teachers, and staff in elementary, middle, and high schools on sexual harassment, abuse and other topics. SHS English teacher, Mr. David Heller, says that clear policies need to be firmly in place regarding harassment- in schools and in all workplaces. “I think such policies and laws exist, yet often in schools and companies I’m not sure they are expansively conveyed or understood,” said Heller. Novick adds that although Sharon High School has a sexual harassment policy, it is only effective when it is patently understood. “Clearly articulating the policy to students is essential so that each student feels knowledgeable, empowered and able to “use” the policy to protect themselves if needed,” said Novick. Social Studies teacher, Ms. Courtnay Malcolm, says that she believes that teachers and students have the responsibility of being aware of their behavior to be more caring and compassionate. “It will take a concerted and sustained effort to change a toxic culture,” said Malcolm.